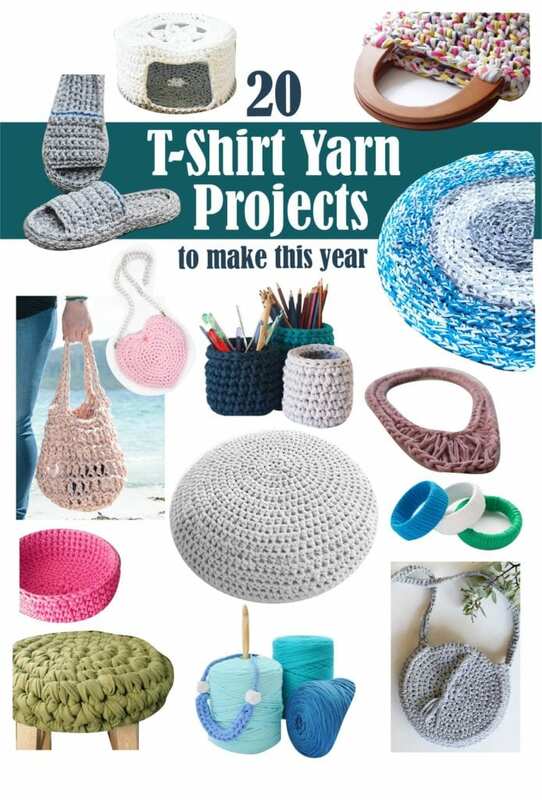 Ever since we first shared our post on how to make t-shirt yarn using the whole t-shirt, readers have been asking “what can you make with t-shirt yarn?”. So we’ve compiled a diverse list of great tshirt yarn projects and patterns you can make. 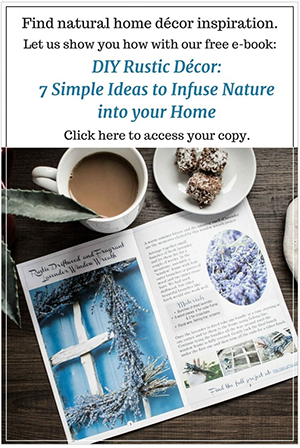 The patterns are a mix of fashion and home decor projects ranging from t-shirt yarn necklaces to tshirt yarn storage baskets to floor rugs. They are also a mix of free and for-sale patterns so there really is a wide range of options here. Whether you have just a little bit of leftover t-shirt yarn or a great big stash, we’ve got your next project to start on. In case you missed it, you can check out our video showing how to make t-shirt yarn using the whole tshirt on youtube. 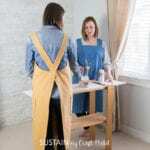 In the video, we’ll show you how to turn your old 100% cotton t-shirts into beautiful yarn with as little t-shirt waste as possible. 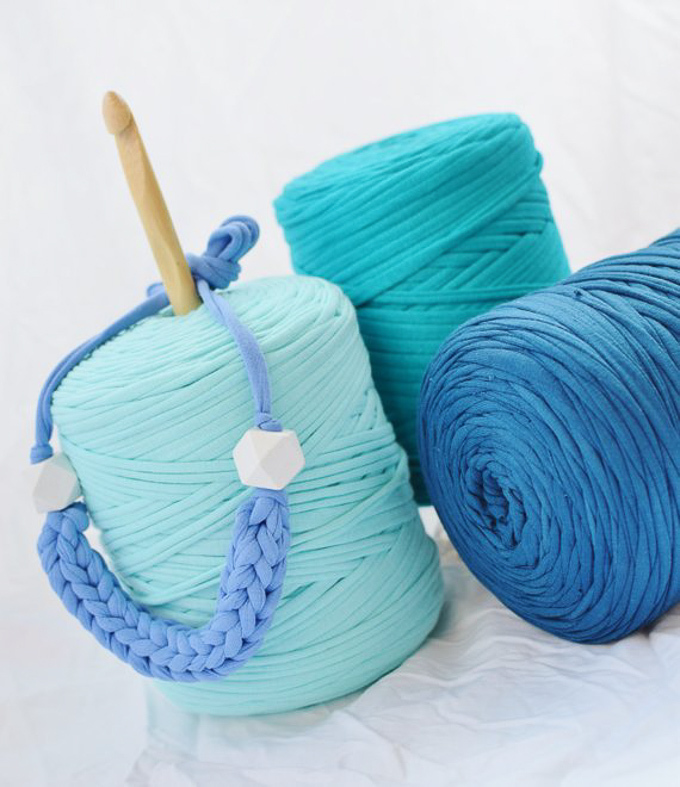 Q: Do you have to use 100% cotton t-shirts to make tshirt yarn? A: Yes, 100% cotton works the best because it has very little recovery. Let me explain: after you cut the tshirt into long strips, you will need to pull on them to stretch them out which will curl the cut edges inward forming the yarn. If the t-shirt has spandex in it, for example, the strips will bounce back after you pull on them not forming the yarn in the same way. 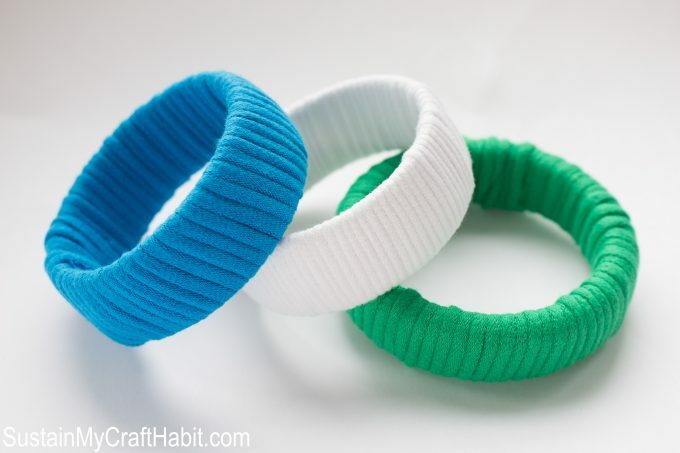 Q: What can you make with t-shirt yarn? A: This post will help answer this question! 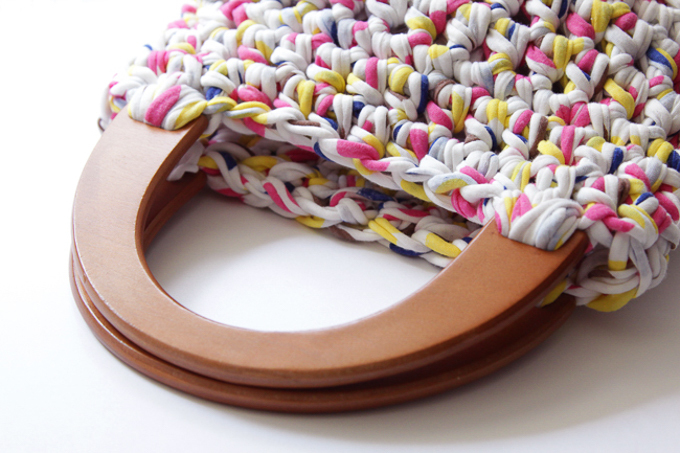 The projects are endless and range from necklaces to bags to rugs to storage baskets. 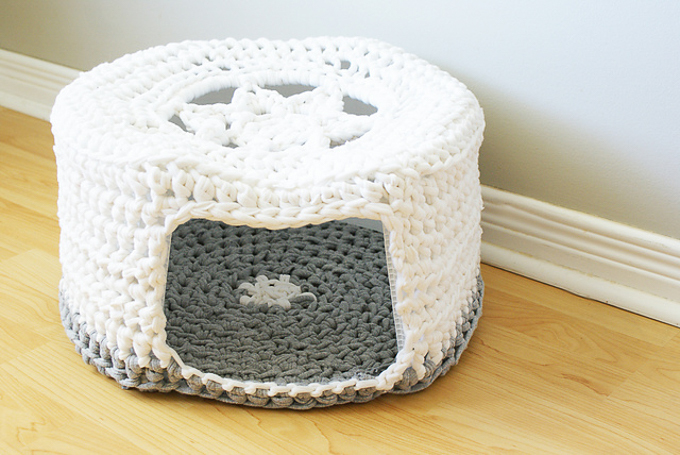 Keep reading for inspiration on projects you can make with t-shirt yarn. Q: What can you make with the leftover ribbing from the neckband? A: One of the best ways to use up the leftover scraps, including the ribbing, would be as stuffing for knitted dolls and other things. 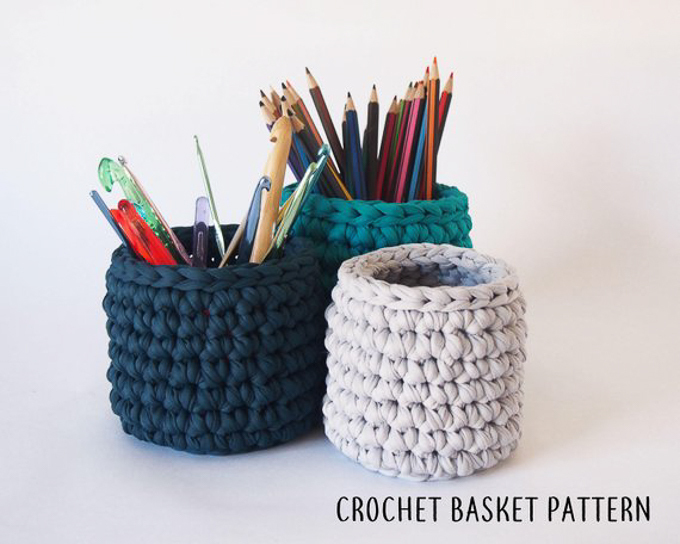 However, you could also use the ribbing as a cute loop for a button on a knitted tote bag or to wrap around a mini terracotta pot as a little cozy. Q: Can I use t-shirts that are printed on the front? A: Yes, you can use printed tees but the print will be visible and the yarn will be stiffer in those areas so it is not ideal. I would recommend using blank t-shirts or tshirts with minimal printing only. 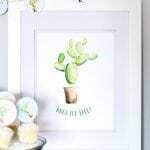 No crochet hook needed for this project! 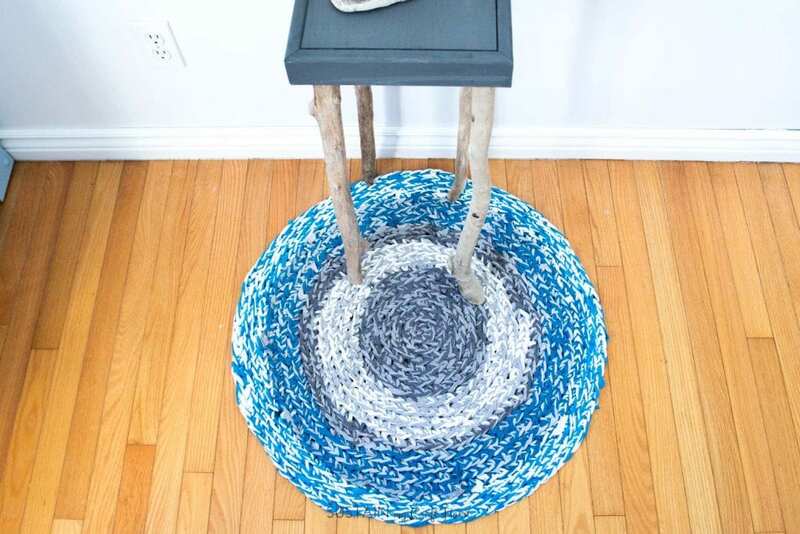 This medium sized circular shaped floor rug was made with a continuous single finger crochet using 7-8 adult sized t-shirts. 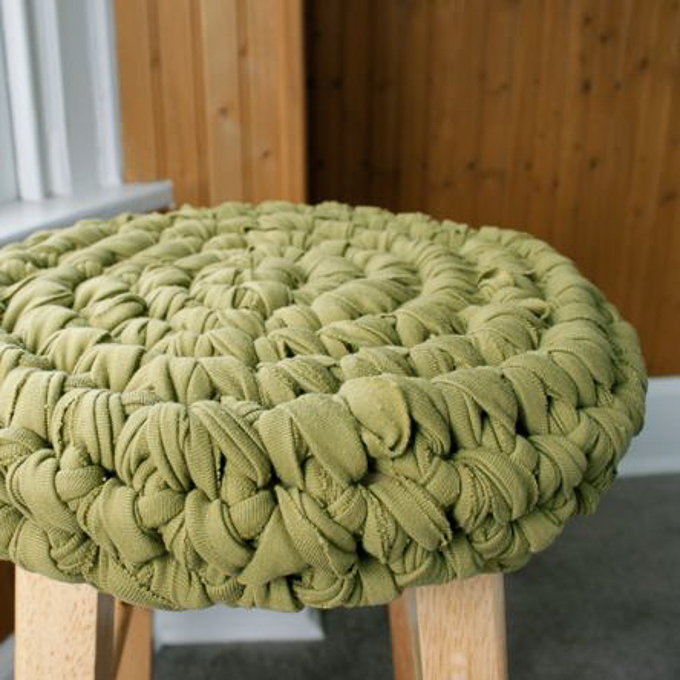 Add a little hygge to your home with this DIY stool seat cover. It functions in two ways by adding a soft comfortable, cushioned seat for sitting on while also giving a standard stool a new modern look. 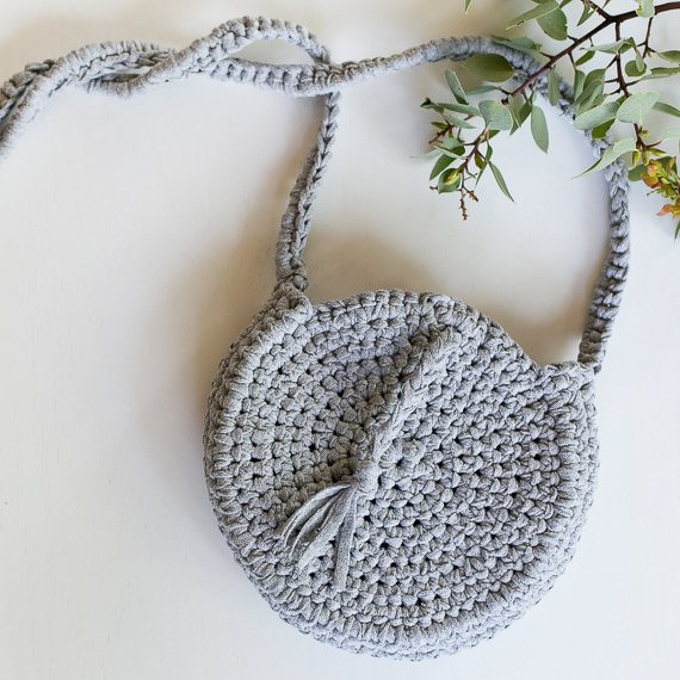 Loving the look of this playful grab and go purse made from some t-shirt yarn and a large crochet hook. You can purchase a similar wooden purse handle here (just be sure to check the finished size of your purse). 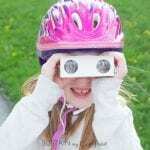 A perfect project for beginners of all ages! 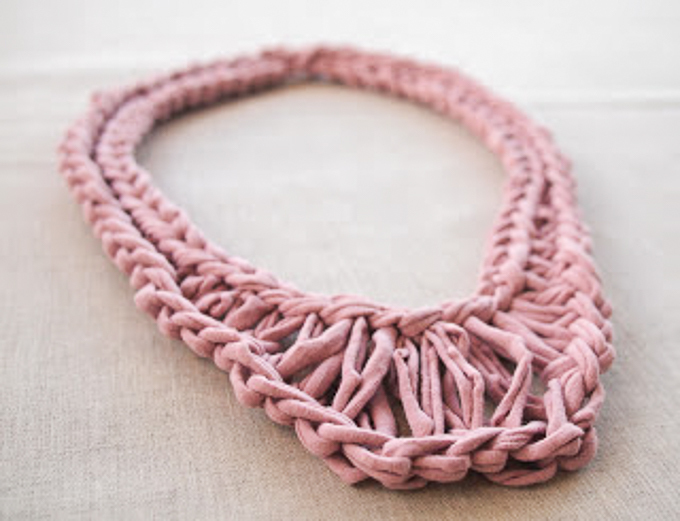 It includes a photo tutorial on how to make this fashionable chunky necklace with some simple finger weaving. 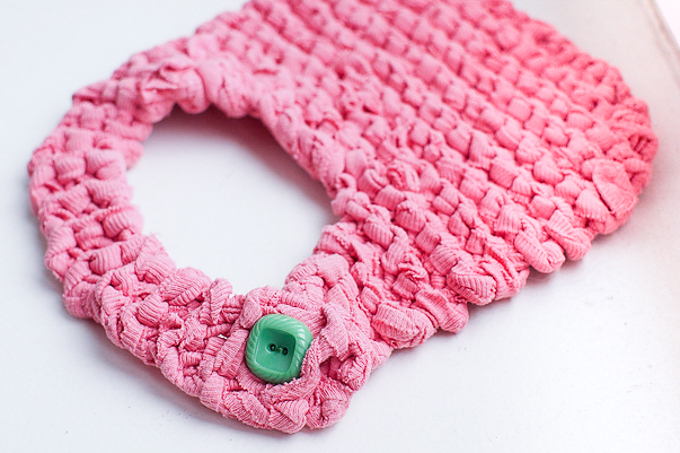 Tshirt yarn isn’t just for storage totes and rag rugs, you can also make a child’s bib using some leftover tshirt yarn. How sweet is this baby’s bib? Remember to always be sure buttons are securely attached on all children’s clothes and accessories to prevent a choking hazard. 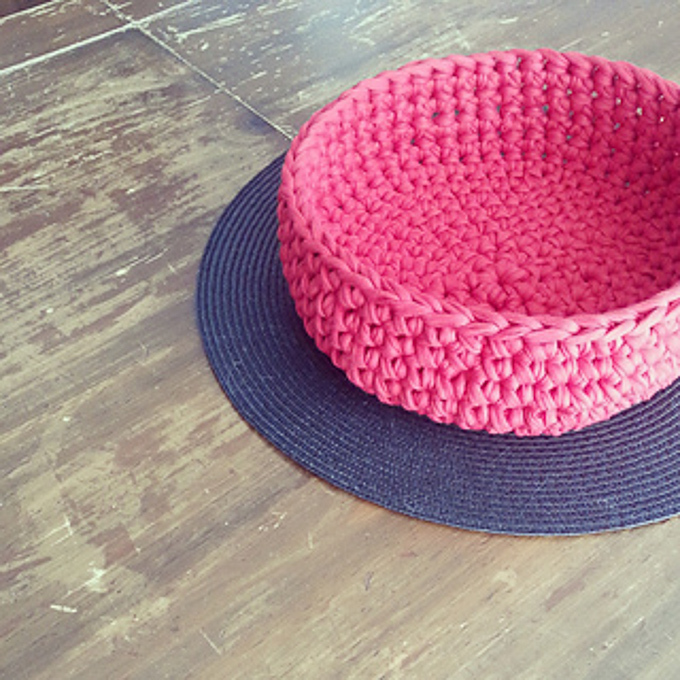 Loving the function and beauty of this round crochet bowl. What an unexpected way to add some softness and texture to your decor. What would you use this bowl for? 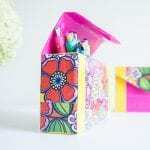 Don’t these make the nicest pencil holders you’ve ever seen? 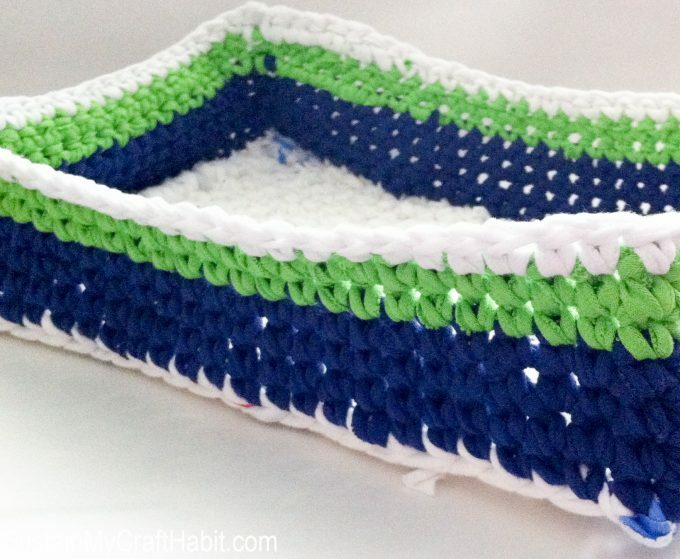 This is a great project for beginners as well as a great way of using up leftover t-shirt yarn that you may have laying around. 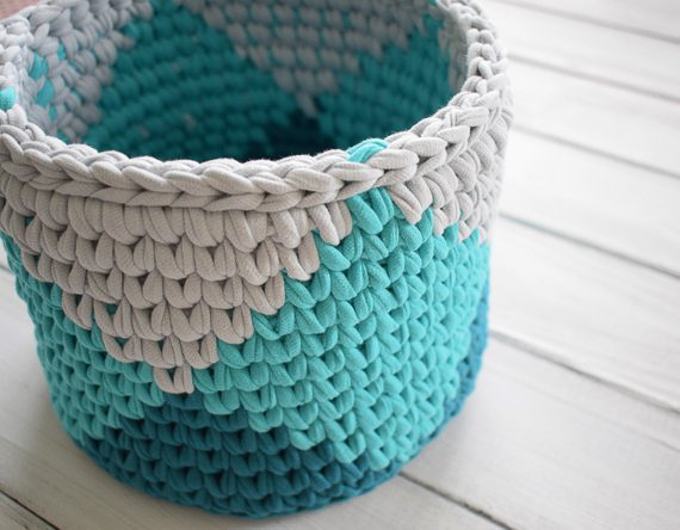 I just love these crochet baskets! The two and three-color combinations are simply beautiful. I wonder if I could turn this into a large basket to hold my laundry? To change out the look of your bracelets, simply wrap left over tshirt yarn around your existing bangles to create a whole new stylish look and feel. This is stylish and practical! 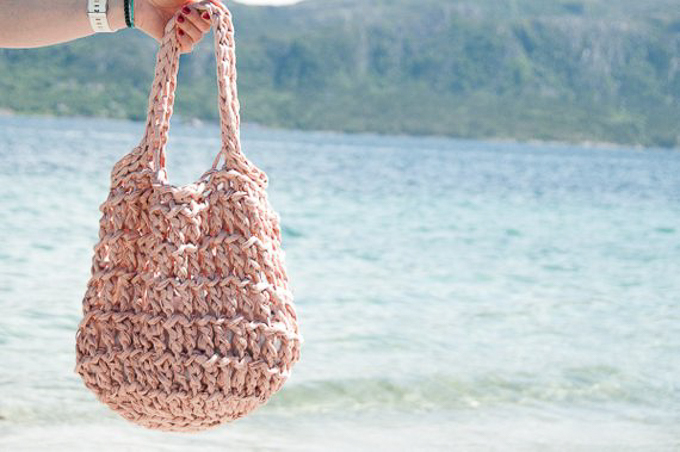 Making a casual beach bag is one really great way to use t-shirt yarn. This project is definitely on my to-do list for this year. 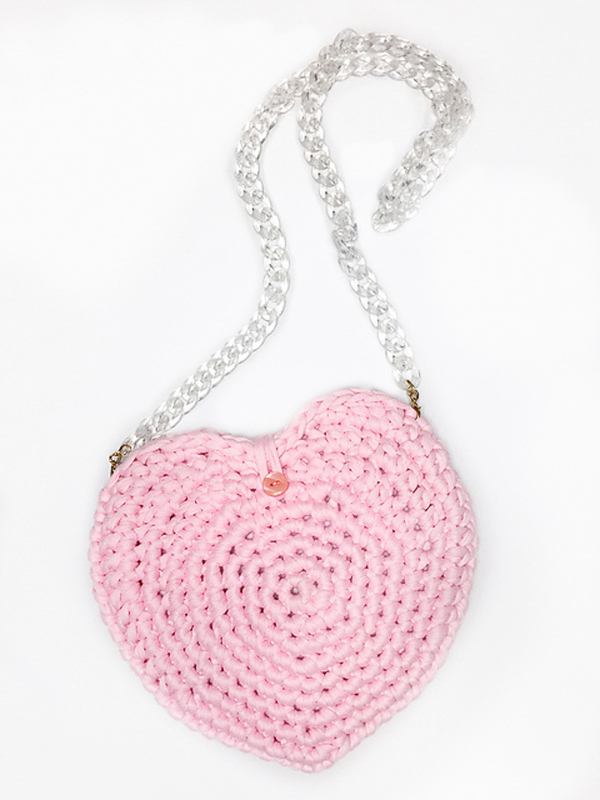 This heart-shaped purse is totally fun and quirky and not only perfect for Valentine’s Day but all year long. I can see my nieces just loving this heart shaped purse. Make one for a sweetheart in your life. I’ll take one of these, please! 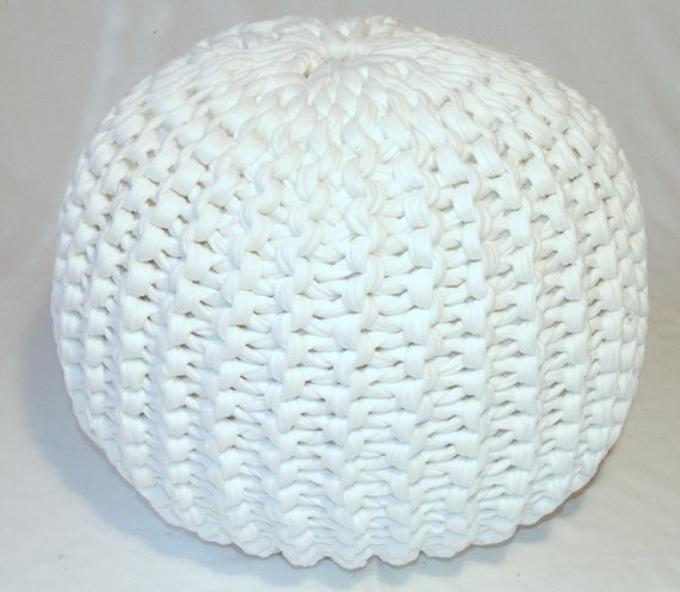 Poufs are all the rage these days and it’s no wonder…they are super comfy yet look amazing as part of your home decor. One of our very first t-shirt yarn projects, these eclectic rectangular shaped storage boxes really liven up any space. Wouldn’t this make such a cute little handbag? It only requires a small amount of t-shirt yarn and makes up really quick so consider making one as a handmade gift giving idea. Who doesn’t love getting pairs of handmade slippers? I mean, seriously. 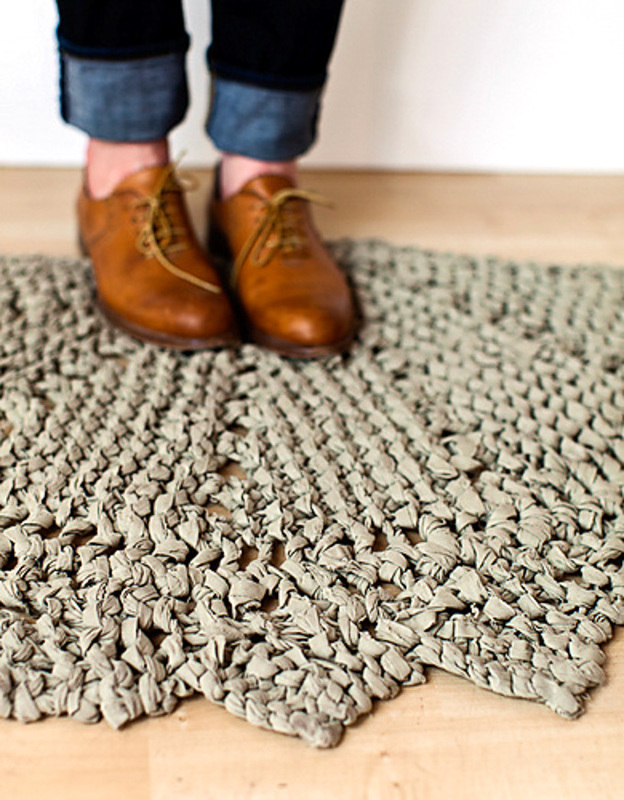 It’s hard to believe this beautiful doily rug was made using a repurposed material. Although it’s made using one king size flat bed sheet, it can easily be swapped out with tshirt yarn to achieve a similar look. 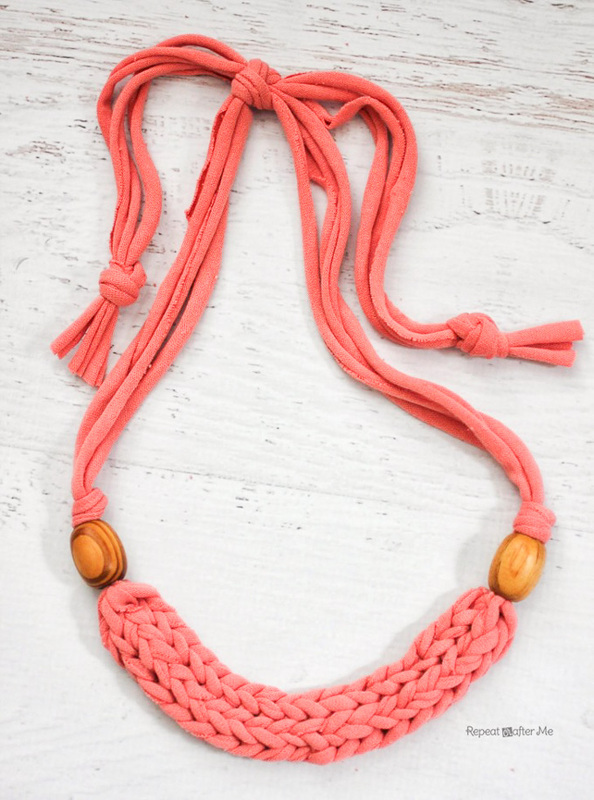 A crochet necklace is such a simple way of using t-shirt yarn and pairing it with some wooden beads really takes it up a notch. Since most t-shirt yarn patterns are for crochet, I love, love, love that this is a knitting pattern. Sold! What a lucky pet! 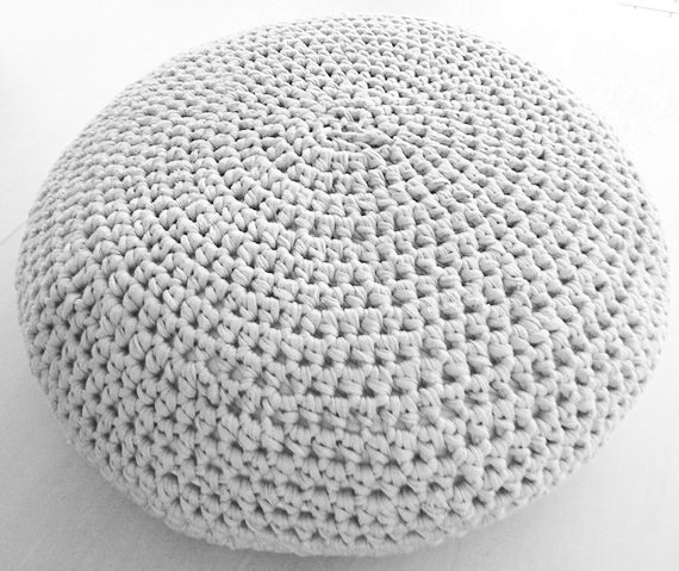 If you’ve subscribed to Ravelry, you’ll be able to purchase this pattern to make an adorable and cozy crochet pet bed to make with your t-shirt yarn. This necklace knits up quickly (less than 20 minutes in fact) making it a perfect gift giving idea. Treat yourself with one as well! And there you have it, a full list of tshirt yarn projects to get you started, motivated and inspired. If you’re looking for more knitting or crochet projects using regular yarn, check out this roundup of free and for-sale scarf patterns as well as these other yarn projects to keep you busy. Which project will you start with first?